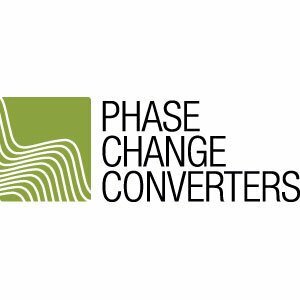 All Phase-Changer converters have the "heart" of our new micro-control technology mixed in with the proven rotary converter principle. This unique formula greatly improves real world performance and reliability, when compared to most other converter technologies. 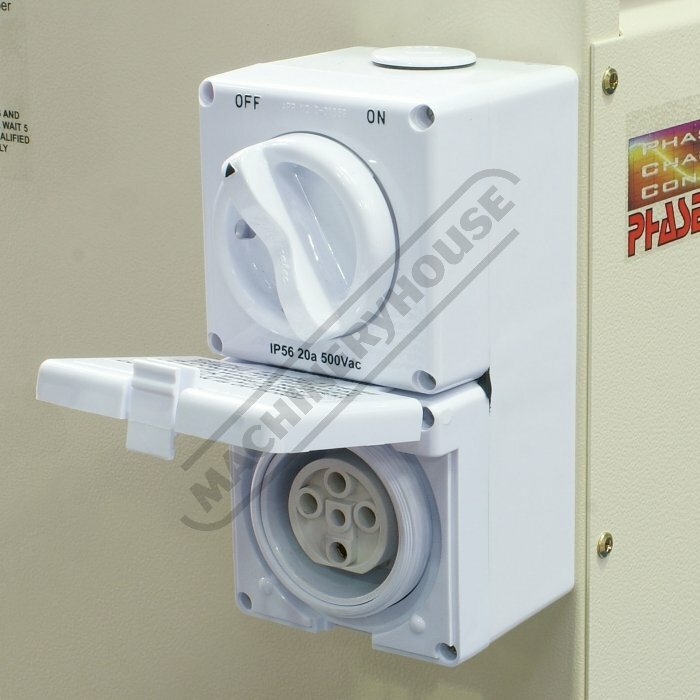 At the small end of the Phase-Changer range, the 2.2KW and 3KW converters are offered as a "plug-in to socket-out" design, meaning you simply plug the converter in to a standard 10A or 15A single phase outlet, and you get 3 phase 415V immediately on the 3 phase outlet that you can plug your machine in to. It's as simple as that! 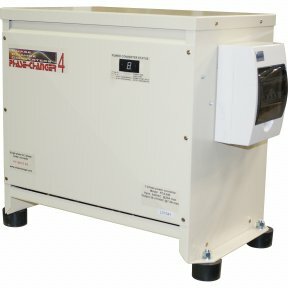 For converters to 4KW, you also have the choice of the full multistage control or an alternative lower cost single stage control. 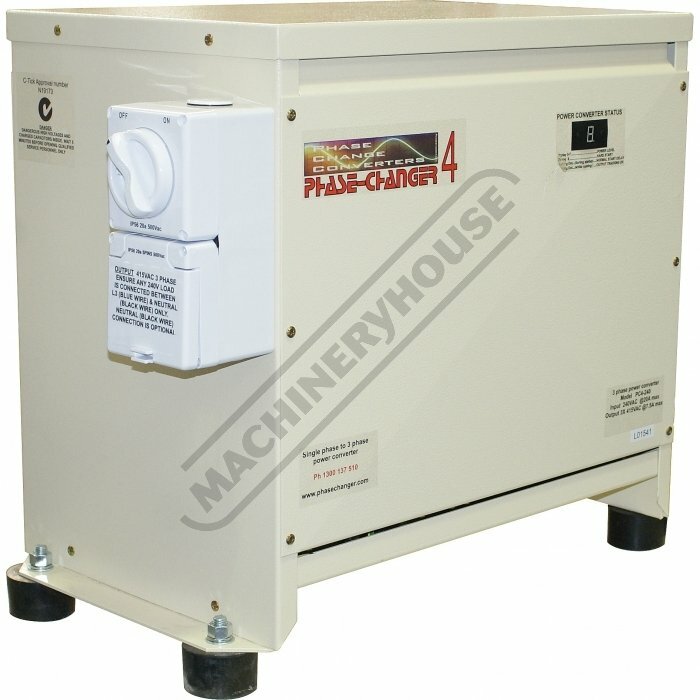 The single stage Phase-Changer (Phase-Changer S) still provides hard start capability, but does not have the automatic voltage trimming stages, that the multi-stage unit has. This is still good in many applications; typically single motor loads where voltage symmetry may be less important. 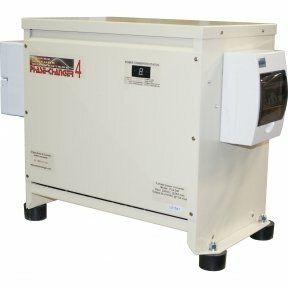 All converters from 4KW upwards require hardwiring to a power board fitted with the correctly sized circuit breakers or fuses. A comprehensive installation guide is included with your Phase-Changer. Suitable for ANY 3 Phase Application with models from 2.2 to 37KW (3HP to 50HP) standard, ideal for multi-load applications.